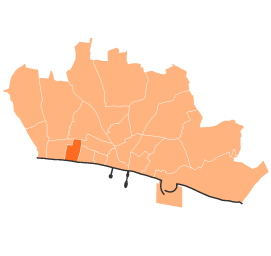 The West Hove neighbourhood is considered by this Forum to be the area bounded to the north by the railway line, to the east by Goldstone Villas (then south to Clarendon Villas and west to Sackville Road), then south to Kingsway and west to Boundary Road as far north as the railway line. This includes the Clarendon & Ellen estate, in the west area of Goldsmid political ward, and the whole of the areas of both Wish and Westbourne political wards. WHF (formerly Portland Rd and Clarendon Forum) meetings are attended by ward councillors from all of the wards within the area (Goldsmid, Wish and Westbourne) police, council officers and a wide range of community representatives.